The weather is getting warmer, the grass has just been mowed, and there are various meats sizzling on the grill. You’re conflicted as you reach into your beer fridge and try to decide what beer to go with. Do you go with a lighter pils, a higher ABV IPA, or a dark, thick, stout? The answer? All three are perfect for summer weather! Now I know that most people like to have sessionable beers for summer, but don’t think that a stout doesn’t go down smooth and refreshing on a nice summer evening, or that a big IPA can’t be enjoyed on your deck as you watch your kids play. I could go the route of listing a bunch of sessionable beers but let’s make it fun throw everyone in the pool. All styles are fair game this time of year, and here is my breakdown of what to enjoy this summer. (All available in Eastern Iowa). Sidenote: I know that I most likely left out some beers unintentionally so feel free to add your favorites. A wonderful American IPA brewed right here, in the great state of Iowa. A great balance of malt and hops make this an easy pick for a very enjoyable summer beer. Enjoy this beer with a bratwurst loaded with sauerkraut, spicy mustard, and onions or a thick ribeye cooked medium rare. Perfect! Another Iowa brewed beer making the list and this is a big boy! A huge aroma and flavor of bananas, rounded out by cloves and tons of honey make this a fantastic beer for a crisp fall day/evening, but also makes for the perfect ending to a warm summer day as well. Enjoy this beer with a big scoop of vanilla ice cream to end the evening. Moving onto a more “sessionable” and distinct beer for the summer. Bells Oberon ale is usually on everyones’ summer list when it’s time to talk summer beers, and rightfully so. Citrus and spice flavor make this a very refreshing summer beer pick. Pair this with some grilled fish and a tomato avocado salad and all will be well with your day. Summer can’t be complete without a trip out west to California. 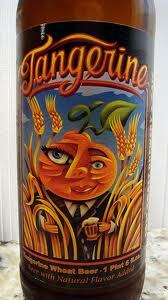 A staple in my fridge throughout the summer months is Lost Coast’s Tangerine Wheat. Not only do I enjoy one or two of these but it is the perfect beer to have on hand for the BMC drinkers to enjoy as well. It seems that most BMC loyalists will always welcome a fruit beer, not sure why, but anyway, this brew has a low ABV and a refreshing tangerine presence. Tough to pair fruit beers but a light salad with a tangerine wheat vinaigrette would do nicely or some shrimp tacos with spicy salsa. I have really taking a liking to saison styles in the last 6-7 months and it’s all thanks to this beer. Saison Dupont has everything you need in a saison: barnyard qualities, grassiness, banana, black pepper spice, and citrus. Amazing beer for a summer day. This beer would go perfect with a herb seasoned beer can chicken stuffed with lemons and onions! Association sessionable to IPA isn’t usually ones’ first thought. But Founders Brewing has created a beer that will appease both hopheads and also people who want to sit around at a camp out and drink a six-pack or two of really good beer. Take it on a picnic with a bucket of fried chicken and coleslaw! A popular summer destination for my family is supper at The General Store Pub in Stone City, IA. Why? 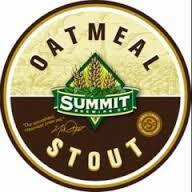 Good bar food, a great locale, and Summit Brewing Oatmeal Stout on tap! A wonderfully, creamy stout, easy to drink and hard to put down your glass. Goes well with some fried foods or just on its own. 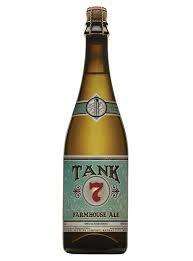 A beer that is moving up my “favorites” list is Boulevard’s Tank 7 Farmhouse Ale. Boulevard hits an absolute home run with this brew, and coming in a 8.5%, a bomber of this, an all-beef hot dog with sauerkraut, jalapeños spicy, mustard, dill pickle relish, and an L.A. Dodger game will do just fine. Man do I love this beer. The description of this beer says, “It’s all about the hops!” and there’s no doubt about it. An in-your-face Double IPA with amazing citrus flavor that is slightly balance by malts. My favorite Green Flash beer so far. Smokey, sticky, mouth-watering BBQ ribs and a bomber of this Imperial IPA make for quite an evening. Described as an American Pale Ale this beer has more hop presence than some IPAs on the market. If you are craft beer lover from Iowa I’m guessing you’ve had this beer, if not, you must try! All craft beer lovers for that matter! 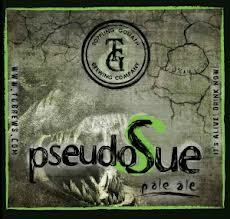 Toppling Goliath is starting to put their name on the craft beer map nationally and this is one of the beers responsible for that. Hard to come by in bottles for the time being but hopefully soon they will be cranking them out quick enough to meet or come close to the demand. Second to none and goes great with some spicy chicken wings, a medium cooked hamburger with grilled mushrooms and swish or just enjoy this work of art by itself. Let's have a Duff with Homer J. Simpson! Great list…Oberon and Hopburst would be my personal favorites. Boulevard single-wide is also a go-to for me in the summer. I used to like Zon but I’m not sure they still make that. Yep, they were located in Newton before their move to Urbandale.